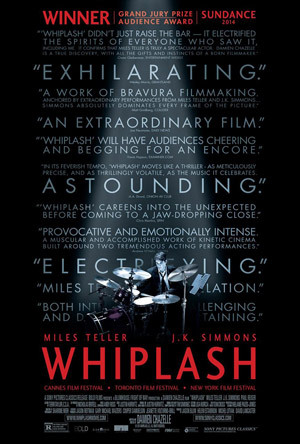 Miles Teller and J.K. Simmons star in the drama Whiplash. Watch the movie trailer below. A promising young drummer (Teller) enrolls at a cutthroat music conservatory where his dreams of greatness are mentored by an instructor (Simmons) who will stop at nothing to realize a student’s potential. MPAA Rating: R for strong language including some sexual references.